regular: wd- 4.45" x ht- 2.16" medium: wd- 4.90" x ht- 2.37"
So sweet and sized for the lille ones. Greta on a yoke, collar,onsie,bibs, blankets, etc. 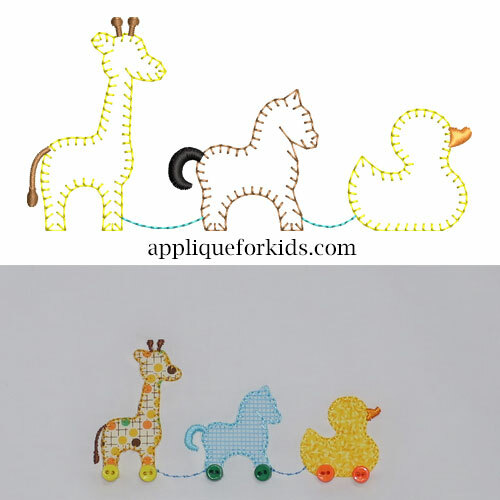 Add the decroative little 1/8 to 1/4" buttons to complete the pull toy look. These are tiny appliques with a blanket stitch that gives it a hand sticthed look. If you want eyes, a little hand French knot or satin stitch will work.